I haven't written a blog post in far too long. Life has been extremely busy lately, in a happy-and-blessed-but-still-overwhelming kind of way. So, instead of my own words, I'd like to share someone else's, for the first time ever on my blog, because they are simply too good not to share. This is the personal reflection of a man I am honored to know. My husband and I met Chester David and his lovely wife, Susan, in our foster parenting classes, and we both agree, they're who we want to be when we grow up. They were such an inspiration that the characters of Dell and Opal in 'Where I Was Planted' (being published next year) were largely modeled after them. While Alex and I are still waiting for our paperwork to be approved, Chester and Susan have completed the process and are welcoming their first foster child tomorrow. Chester's thoughts about this life-changing event are beautiful, and I appreciate that he shared them with me and allowed me to share them with you here. I've not been able to sleep a full night in the past week or so. I usually pride myself that I sleep like a log, asleep most nights before I hit the pillow. This week, however, I have awakened really early around 3 or 4 a.m. with my mind just a thinking. And the more I try to get back to sleep, the worse it gets. Frustration begins to set in, and pretty soon I must get out of bed and read or do a crossword puzzle. So what's going on? What can't I turn off my mind? I think I know the answer. Our lives are about to change. Susan and I have answered a call from God to take in a foster teenager, something we've prayed about for the past several years. That's a good thing, right? Walking through doors that God has opened is always a good thing. I've done it many, many times. "Chester, I want you to go on this medical mission trip and lead an evangelism team, OK? Chester, I want you to start a new ministry to serve the most under-resourced kids and families in Winston-Salem, OK? 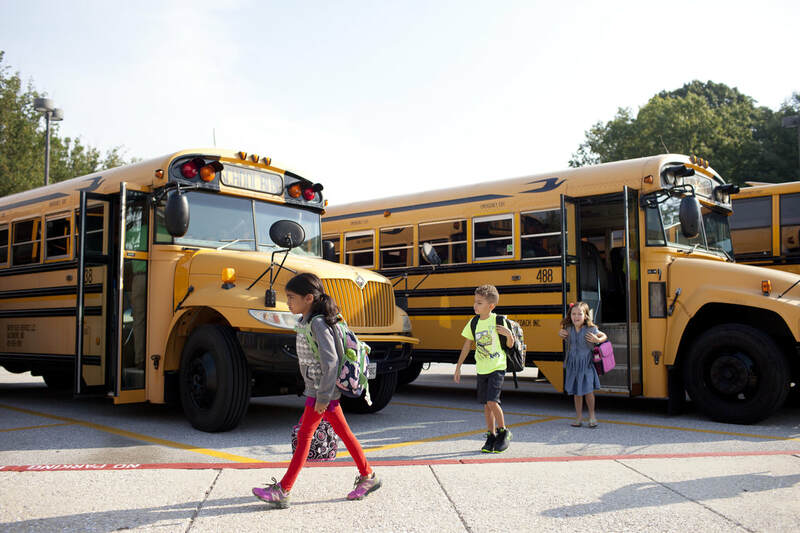 Chester, I want you to mentor this young 4th grade boy who is in constant trouble at school, OK?" I don't recall ever losing sleep over any of these assignments that God has given me. This one is different, I feel. A young 16-year old foster teenager, whom we haven't yet met, will be dropped off at our house in two days to live with us. I don't know that much about her, but I do know that she is suffering from years of trauma. I know that she needs a home where she is safe and loved. I know that on Tuesday our lives will be changed forever. I don't think that I am worried that much about losing my former life. I'm not worried about the sacrifice that we will make. We do that joyfully. In the past with each foreign exchange student we made lots of sacrifices. Sometimes life was difficult, and sometimes we couldn't wait until they went back home. In the end each time we worked things out, and each challenge became a gift. Our decision to share our lives with another young person was always paid back to us ten-fold. So it's a no-brainer that we choose to be foster parents to this girl. This feels different. We will have support from Crossnore and other foster parents. We will answer to a bureaucracy with paperwork and policies. Many people will be following up and assessing the progress and the compatibility. Our foster teen will have input into her placements. But more than any of those reasons, it feels different because this teen has been sent to us by God, this teen who is broken and distrustful of finding a family. She doesn't need another disappointment. She is at a crossroads in her life, and it will happen in the next 2 years. Yes, I feel the magnitude and weight of this God-sized assignment. In some ways we feel that God has prepared us for this very moment. Answering yes to God this time is a big deal. I am not afraid of failure, because failure will certainly be part of our journey. We'll get past failure. God will be our beacon to light the path. I think the reason I feel so overwhelmed is that God has chosen us to be his sowers and to work his garden for our foster teen. I am in awe that God would choose us to care for his beloved child. That's it! It is an affirmation that we've done something right and that he wants to entrust us with loving and directing this young girl. We are Jesus to her, and I know myself too well with all my faults and shortcomings. This time the risk is great. I know God has prepared us for this time. This morning during our worship service, we ended the service with a beautiful tenor solo of "The Lord's Prayer." I closed my eyes and pictured myself with outstretched arms towards Heaven to receive God's presence. I was overwhelmed with emotion at his goodness and abundance poured into my life. After spending this afternoon with my immediate family, I retreated to the backyard alone to pray. "God, do you know what you're doing?" I shouted. The immediate image came back to me of my cherry tree several years ago. God had already answered this question, but I just wanted a little reassurance. You see, I was faced with the overwhelming burden of uncertainty of caring for my mom with Alzheimer's Disease. In the very moment that I had no answers and felt out of control, God took me to the cherry tree. 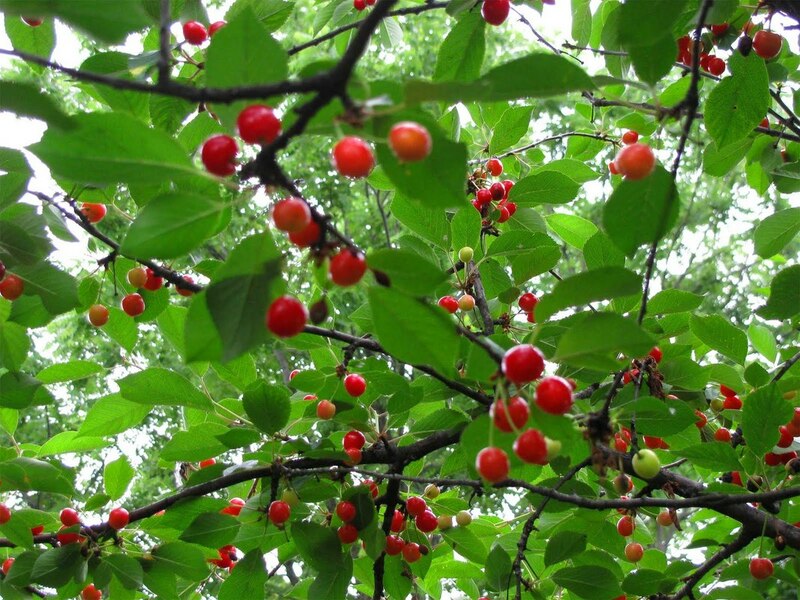 The tree was laden with an abundance of red cherries, ready in bunches for the picking. God asked me to stretch out my hand in any direction, where I found more cherries than I could possibly hold, all falling into my hand. He reminded me that he was the grower, the gardener and creator of life, and that there would not be any cherries at all without his generosity. He reminded me that he was also the creator of my journey with my mom. He promised me abundance along the way. So it is now, this new journey, or perhaps a continuation of the one. I may have planted the cherry tree and watered it over the years, but nothing happens without God's breath of life and his providence. He was the source then, and he is the source now. Many people think we're crazy to want to have a foster teenager in our home. Perhaps they haven't tasted the cherries. To read more from Chester, visit https://hunger2health.org/blog/. As a newbie novelist, I’m going out a limb here by sharing some thoughts about “writing rules”. Without a doubt, I have a lot to learn about the writing craft, but for my current work-in-progress, I’m throwing the rules out the window and replacing them with two simple ideas. Rewrite the story, and make the reader feel like they are living it. So far in my writing journey, I feel I have been pretty good at the first "rule" but maybe not-so-great at the second. Now that I'm about ten percent into this manuscript, I'm determined to make these rules my focus, and to quit obsessing about the others. It reminds me of the Bible. In the Old Testament, we are given The Ten Commandments, but in the New Testament, Jesus condenses those ten into two. His "new" rules are summarized as love God and love your neighbor. The old rules are still valid and valuable, but now they are all wrapped up in a more concise formula. 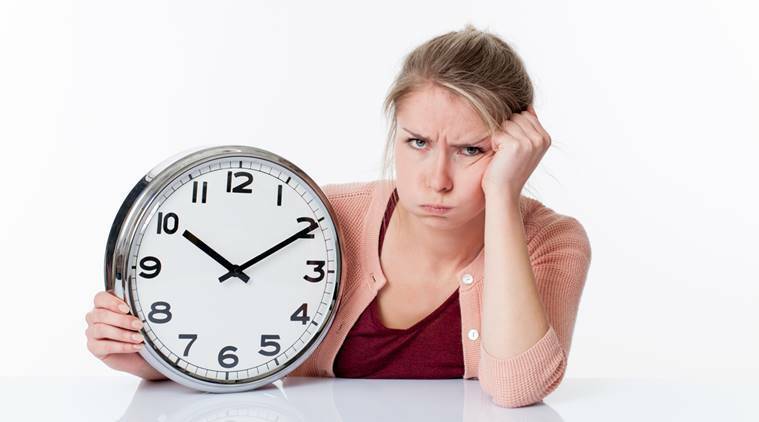 While my two new writing rules don't encompass all the valuable dos and don'ts amassed from brilliant writers throughout the ages, I sincerely hope that simplifying the rules for myself will improve my writing and help me push through on this third manuscript. Now, there's a definite possibility that I will look back at this post one day and cringe with embarrassment at how naïve I was. But, it's all part of the journey. If you were to simplify the rules, what would they be? I'd love to hear them. Maybe you can help revise mine. Thanks, and happy writing! Last night I found myself sitting in a hammock at dusk with my two youngest children. We cuddled and watched lightning bugs while one of our dogs laid on the ground on top of my feet. Practically perfect, except for mosquitoes, I decided to write about it. Those lines are found in the video below, set to an instrumental of a beautiful song by Nichole Nordemon called "Every Season". I hope you enjoy! 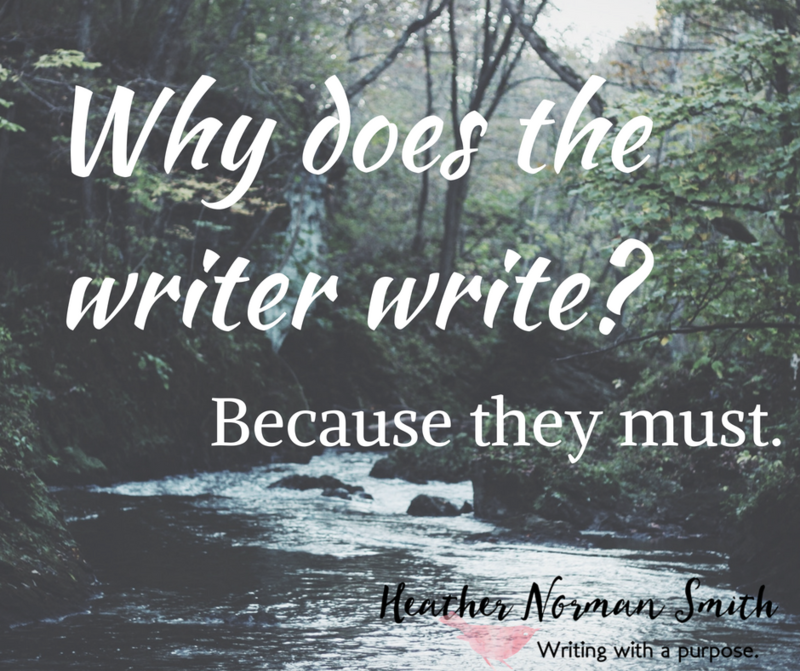 Why Does The Writer Write? Why does the writer write? Because they must. Letters form words, and words form sentences that can't be contained. They burst from the brain and end up as black and white art on a page, because there's a story that must be told. Why does the painter paint? Because they must. They see lines and shapes and colors that the rest of us cannot see and are duty-bound to share, that others may know the beauty too. Why does the singer sing? Because they must. Music is like air and the silence suffocating. Song breaks out as life to the owner of the voice and the hearers. Why do we create? Because when the Maker spoke and made all things good and us like Him, He taught us how. Like seeds in dirt, He planted in flesh the power to craft, the skill to bloom with beauty. We create because He planted the seeds. We create because we must. 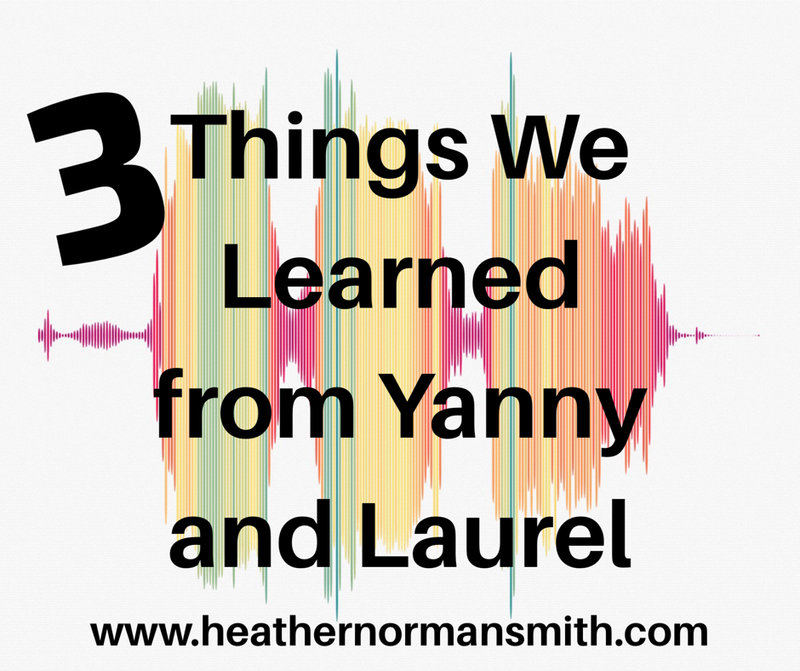 I'm confident that anyone who has access to this blog post has heard about "Yanny or Laurel". (If somehow you've missed it, just Google it.) At first, I refused to listen to the recording, concerned it was a conspiracy to indoctrinate a large group of people with a subliminal message. But alas, I turned off mute on those Facebook videos that automatically play when you scroll past them and was accidentally indoctrinated...I mean, I heard it by accident. ​There are some lessons we can learn from the whole "Yanny or Laurel" craze, though, and I want to point out a few of them. ​1.) We, as a society, are easily amused. A phenomenon involving how different people's brains interpret different pitches of sound was covered by every major news outlet in the country and blew up every social media platform. Not that it isn't interesting, but is it really as newsworthy as it was made out to be? I bet if Twitter was around in 1969, we'd have seen more hashtags for #YannyorLaurel than #NeilArmstrong. ​2.) We enjoy a shared experience. ​The old adage "the more the merrier" rings true. Something is more fun, more entertaining, when it is common to the majority of a population. "Yanny or Laurel" was fun because everybody was doing it! Another case in point, the Superbowl. My husband and I watch only one football game out of the entire season. Why? Not for the sport, not for the commercials, but for the feeling of comradery with the rest of the country (and maybe for an excuse to eat chicken wings). ​And here's where the real lesson is learned. It's hard to argue the "other side" is "wrong" when the split of Yanny to Laurel is 47%/53%. There are countless factors that shape someone's experience and therefore their perception. We can argue until we are blue in the face, but we can rarely change someone's perception about a subject with words alone. We need to listen and understand that other people have valid opinions and viewpoints, even when they don't make sense to us. We should "choose our battles", and only fight for the things that are important, based on our own reality. And even then, we trust that God will change hearts as He sees fit. 2 Timothy 2:23-26: "But avoid foolish and ignorant disputes, knowing that they generate strife. And a servant of the Lord must not quarrel but be gentle to all, able to teach, patient, in humility correcting those who are in opposition, if God perhaps will grant them repentance, so that they may know the truth, and that they may come to their senses and escape the snare of the devil, having been taken captive by him to do his will." What did you learn from "Yanny" and "Laurel"? I'd love to hear your thoughts! Welcome to "Every Season Blog", a place where I talk about life, family, fun, and all things "writing". Please visit the Devotions & Study blog page for insights to help you grow in your walk with God. If you want to know some stuff about me, click the "About Me" link in the menu. Thanks for stopping in!